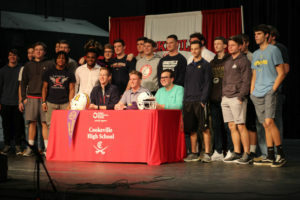 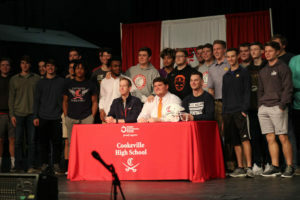 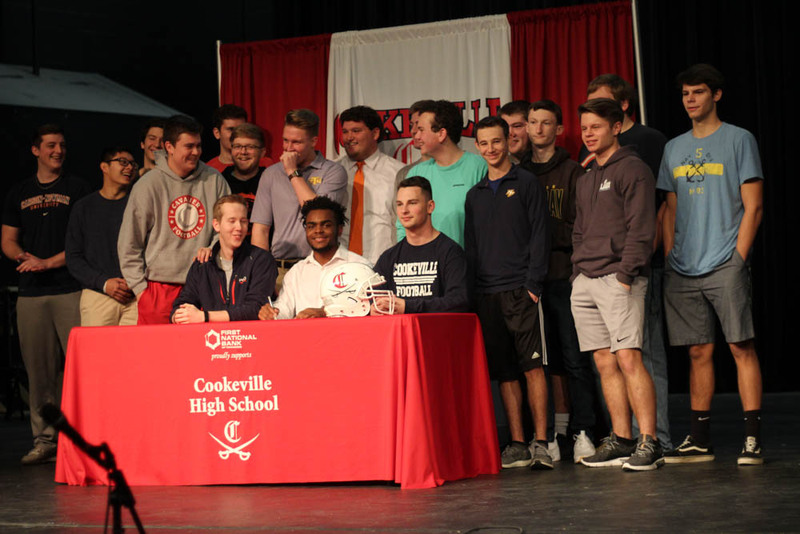 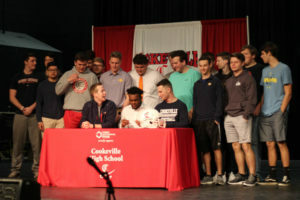 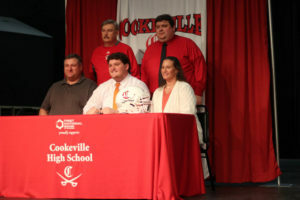 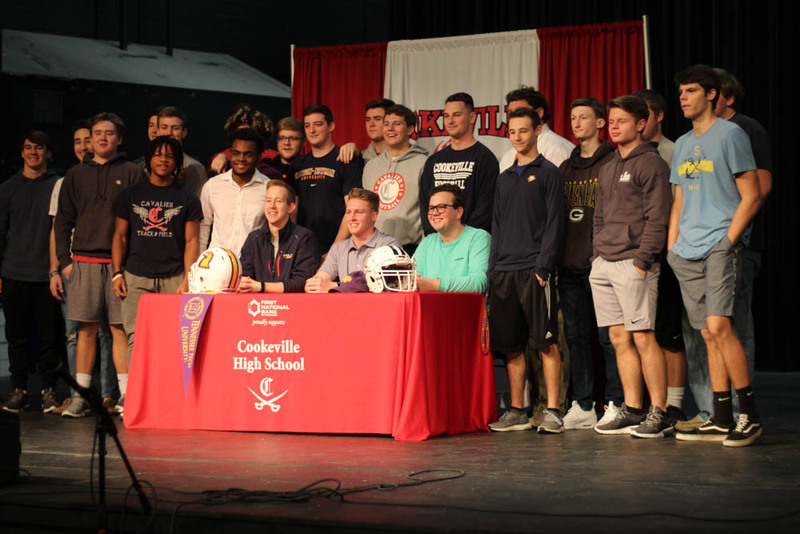 Three Cookeville High School student athletes sign scholarships to play football on the National Signing Day. 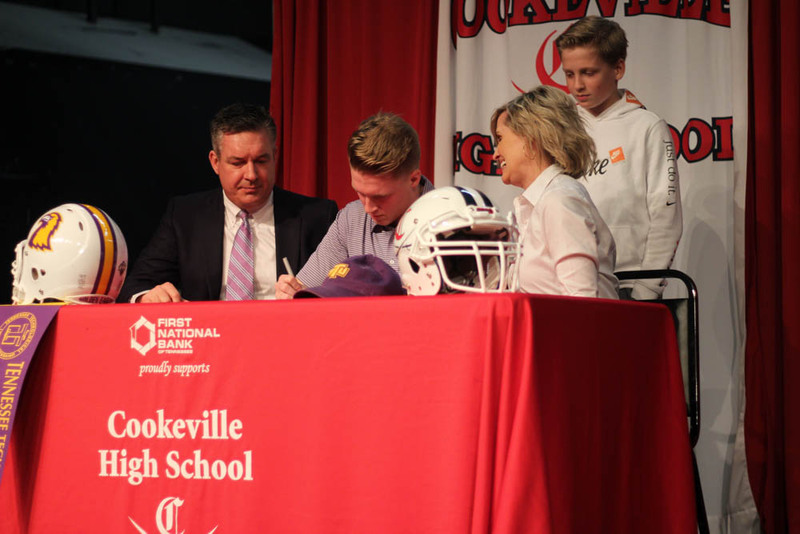 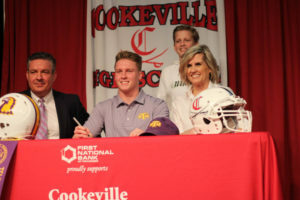 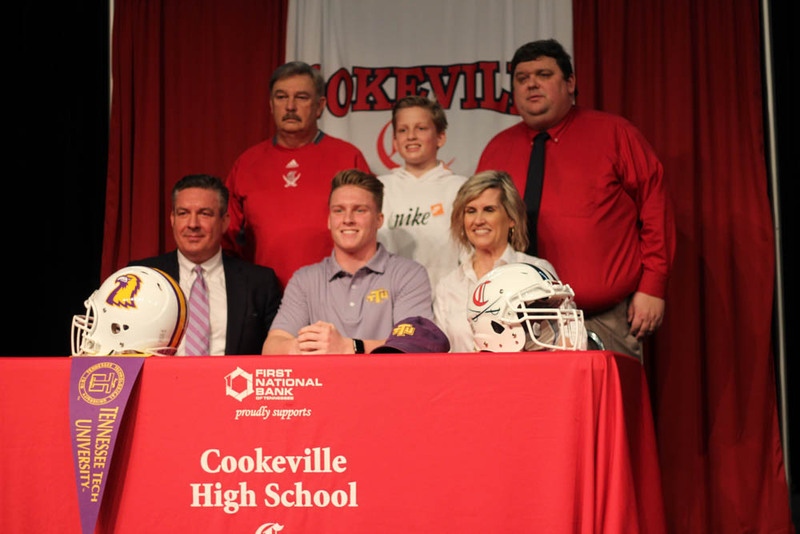 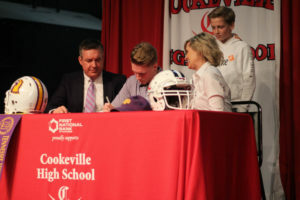 Clay Massengille will be continuing his education and playing football for the Golden Eagles of Tennessee Tech. 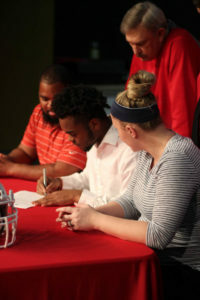 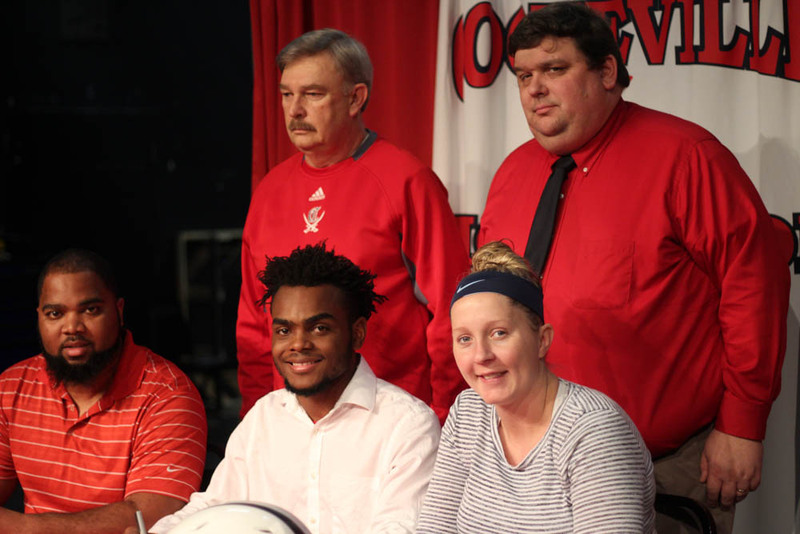 Jaeden McAllister will become a student athlete for the Patriots of the University of the Cumberlands in Williamsburg, KY where he will continue his education and play football. 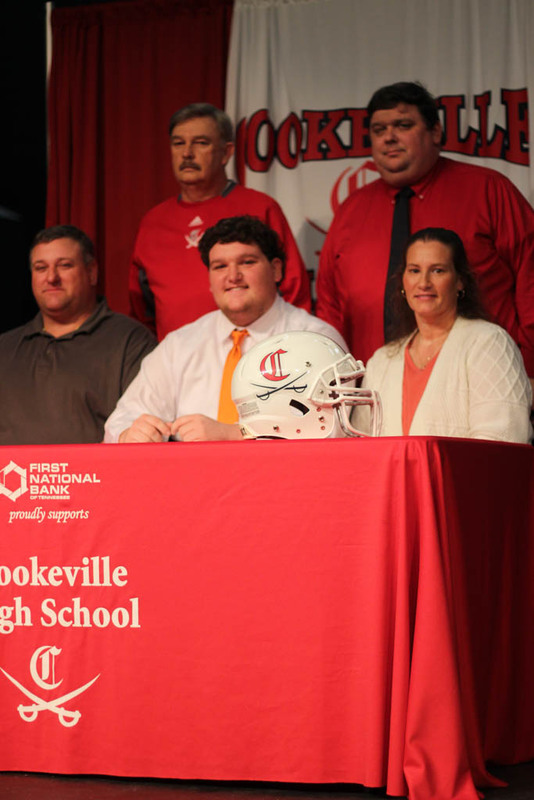 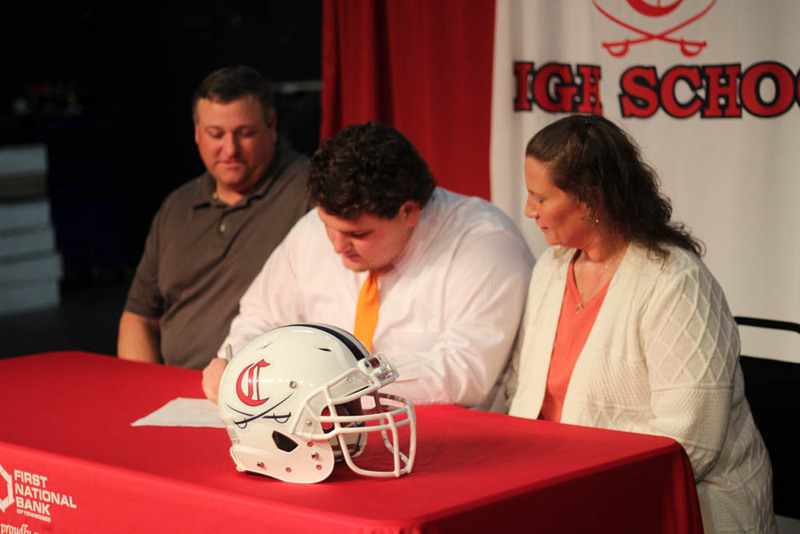 Jake Edmonds signs with the Tusculum University Pioneers in Greeneville, TN to continue his education and play football. Congratulations to all three athletes!